Imagine a classroom, much like the many classrooms across the country. Students are in their seats, and the teacher is at the front of the room delivering instruction. As the teacher instructs, she stops on occasion to check for understanding and ask questions. Several students raise their hands, and the teacher calls on a few students to share. She notices a pattern, though — the same students keep raising their hands when she asks a question or asks for volunteers. Given this, the teacher decides to call on some of the students who haven't been raising their hands. When she does, another pattern emerges; these students often respond with "I don't know" or remain quiet. Other students, losing patience, jump in and answer the question. The teacher, feeling the pressure of time and material to cover, continues with the lesson. Later in the lesson, the teacher provides the opportunity for students to practice with the lesson content, either independently or in small groups. During this practice time, she notices the same students who were not participatory in the lesson are not engaged in practice. They are talking with others or sitting quietly. When prompted by the teacher to get to work, the students appear to get started but quickly go back to talking and disengage from the task. Similar scenarios occur in classrooms on a daily basis. The students in this scenario may be demonstrating learned helplessness: a disruption in motivation, effect and learning when students feel they do not have any control of the outcome. In an educational setting, students may feel that any effort is fruitless, as they do not understand the content, and so refuse to make any effort whatsoever. Learned helplessness may also result from low expectations of students, and students not being held accountable in the classroom to engage in academic tasks or activities. Take for example a fifth-grade classroom wherein the class was engaged in a discussion of the three types of rocks and the rock cycle. Students were discussing how rocks change form through a variety of processes such as heat, pressure, melting and weathering. During the lesson, we used the cooperative learning structure "numbered heads" to call on students to share their ideas and report on the group's discussion. It just so happened that a shy, quiet student was called on to share. Other students in the class immediately reported that this student could not report out due to her shyness and shared the answer for her. Another example involved a first-grade student learning about insects. This student was at the early intermediate level in terms of English proficiency. Each time he was called on in class to answer a question, repeat out loud or otherwise share, he would point to another student to share. While this student was capable of sharing in English, he needed additional support. But in several instances, the teacher moved on, without providing the needed support or requiring the student to share using the language the student did know and was learning. This practice allowed the student to begin to develop learned helplessness, as the implied message was that he was not capable in sharing, and someone else would be required to do it for him. In this particular case, rather than moving on when the student was apprehensive, he could have been provided with the needed support so that he could share with the class. The teacher may have provided a number of tools, such as group support, sentence starters or scaffolded questions to support the student in sharing. When considering how to avoid or help students overcome learned helplessness, it is important to remember that success builds success and failure builds failure. The more students have already failed, the more successes they will need to have to overcome the failures. If we start with small, attainable successes to highlight each day, the students are more likely to see themselves as successful in our classes. Students sometimes find this success when they are served in intervention classes, wherein the areas of needed development are taught in an intensified format, building on where students are and helping them to master skills needed to progress. Success can also be built into classroom activities. Take the first example of the fifth-grade class studying the rock cycle. When classmates reported that the student could not respond due to her being shy, rather than moving on to another student, the teacher had the student who had been called on whisper in the teacher's ear. The student was not comfortable sharing with the entire class, but she did share quietly. This procedure demonstrated to the class that although the student in question may not have been comfortable reporting to the entire class, she was still appropriately accountable to share ideas, and that her voice could not be taken away by other students in the class. If she had not been held accountable to participate in a way that was appropriate for her, she would have continued to develop a sense that she was not capable, and that her contribution was not as important or valued as others. It is important, of course, to begin with creating an environment in our classrooms where risk is encouraged and students feel comfortable with making an effort even if it results in making errors. If students feel as though they will be laughed at for a wrong answer, for example, they will be less likely to make the effort and push themselves. When everyone is seen as a learner with diverse skills, strengths and areas of need, students are more likely to thrive and attempt to progress. It is also critical to keep students motivated and engaged. Students often feel successful when they are studying about topics they have an interest in, so anytime we can connect to students own interests, experiences and background knowledge, we have the opportunity to help them be more successful. Of course, not all topics are of personal interest to each student. Instructional methodologies that keep students actively engaged — including choral calling and reading, when all students say a vocabulary word or phrase or read together, for example — can provide a low-anxiety environment to participate in. Other scaffolding techniques should also be used to avoid perpetuating, or creating, learned helplessness. For example, provide students with clear and explicit instructions or directions for academic tasks. This includes having both written and oral instructions, and demonstrating for students, step by step, what they are to do. If the task is complicated, consider giving one step at a time, demonstrating it and then having the students practice the step. Additional steps can be added one or more at a time as students build success. Students can and should also clarify directions and instructions with their peers. This is becoming increasingly important as we ask students to read and access more complex text, and as students are asked to complete more complex tasks, having a finished product is helpful for students, as well as a rubric or clear evaluation criteria. Accountability techniques such as numbered heads, as described in a previous example, are also helpful. It is important that students have the support of peers in their group, and that they are held accountable to share. For example, if the teacher calls on a particular student, and he does not have a response, the teacher might say "talk with your partners. I'll be right back." It is critical that the teacher return to the same student in this case, after he has had a chance to discuss the concept or question, so that the student responds. It is not uncommon, at first, to have to return to the student multiple times. 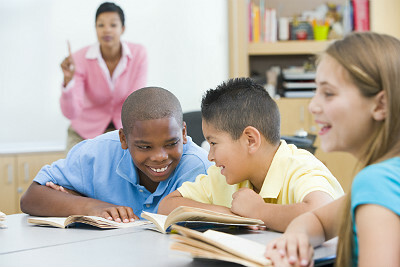 However, with the support of others in the class, the student will learn that he is indeed accountable to share. Other options that follow this concept include using a "lifeline" or "phone a friend," as well as "no opt out." Peer support is critical in practicing concepts and skills as well. Teachers have long applied the gradual release of responsibility, or the "I do, we do, you do" model, by teaching, providing guided practice and moving to independent practice. As mentioned by Doug Fisher and Nancy Frey and others, at times teachers have missed the "you do it together" portion of the gradual release before moving to independent work. In this portion, students collaboratively practice the skill while the teacher monitors and provides assistance on an as-needed basis. Through careful observation, planning, scaffolding and accountability, we can help students who are experiencing learned helplessness to be successful. It will take thoughtful, caring teachers who, despite the challenges, are willing and able to build success with students who thus far may not have had a successful and motivating school experience.